Are you a fan of saving princesses from the clutches of fire-breathing turtles? Does go-karting around different perilous tracks sound like a good way to spend your days off? Do you enjoy playing all sorts of different sports with your friends? Are you also sick of your brother outshining you? Well, then we think the time has come for you to step into the heroic shoes of Luigi. This video game icon is no longer second fiddle to his famous brother. The tall guy with the big green 'L' on the hat is in the driver's seat now, and he's ready to save the kingdom. 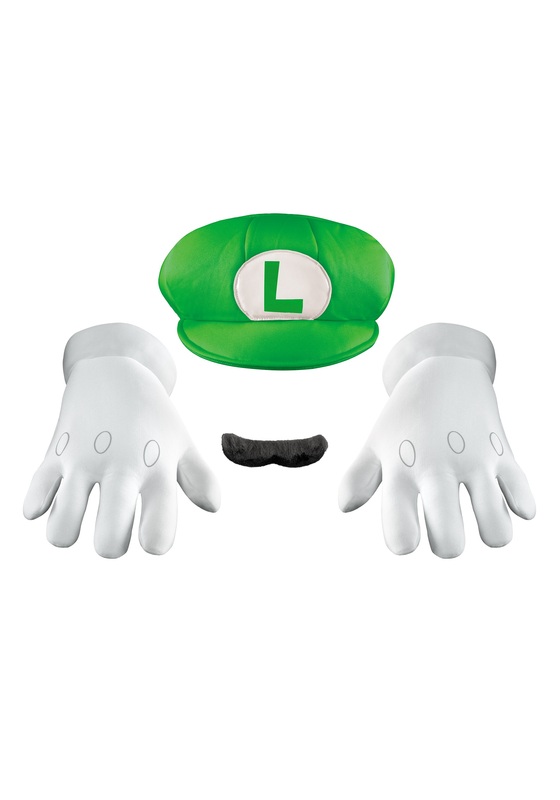 Fulfill your Super Mario aspirations as the famous mustachioed character with this Luigi Accessory Kit. It's the perfect thing to make a quick change for this coming Halloween or at the next cosplay event you attend. Just make sure you keep an eye out for any random red shells flying around!